As pollutants and toxic waste flood the Houston area following a 1,000 year flooding event fueled by unusually warm waters in the Gulf of Mexico, the Environmental Protection Agency under Scott Pruitt has merrily continued its transition into the Corporate-Profits-and-Also-Scott-Pruitt’s-Future-Political-Prospects Protection Agency. Konkus, who officially works in the EPA’s public affairs office, has canceled close to $2 million competitively awarded to universities and nonprofit organizations. Yes, “the double C-word.” Meanwhile, this single C-word has halted funding on a Bush-era program to combat indoor air pollution, two awards involving the push to outfit developing countries with clean cookstoves, and a $20,000 one-day training session in Flint, Michigan to help teach residents how to deal with a spreading bedbug infestation. Earlier this summer, on the same day that Sen. Lisa Murkowski of Alaska joined with two other Republicans in voting down a GOP health-care bill, EPA staffers were instructed without any explanation to halt all grants to the regional office that covers Alaska, Washington, Oregon and Idaho. That hold was quickly narrowed just to Alaska and remained in place for nearly two weeks. 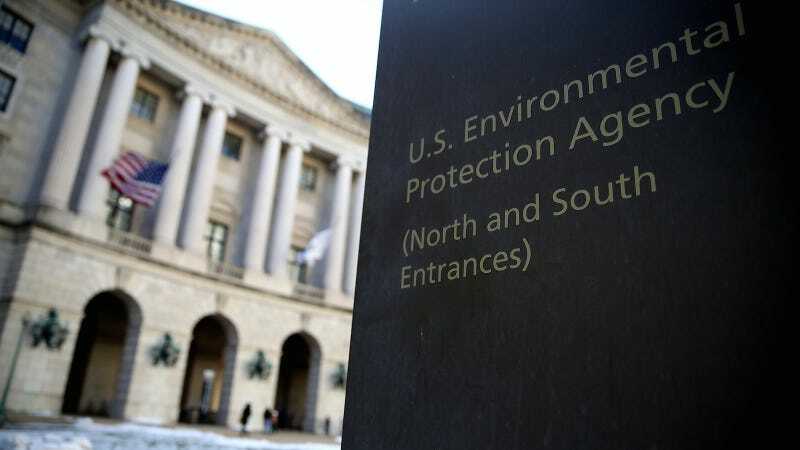 Two EPA officials, who spoke on the condition of anonymity for fear of retaliation, said the action prompted a consultation with agency lawyers because of its unusual nature. The hold temporarily slowed awarding more than $10 million in federal funds through half a dozen tribal grants and one to the state’s Department of Conservation. Bowman said Alaska was not singled out in the review, and aides to Murkowski and Alaska Gov. Bill Walker (I) said they were not aware that any funding was delayed. The Obama administration had identified “combating climate change by limiting pollutants” as one of its priorities for awarding tribal funds, but several of the pending Alaska grants were unrelated to climate change. Meanwhile, this Saturday the EPA published an absolutely bonkers statement that personally attacked an Associated Press reporter who wrote a story on the EPA’s muted response to storm-damaged Superfund sites in Texas; every day, we continue the gruesome task of learning what an “overreach of authority” at the EPA actually looks like.